Maytag Coin Laundry of Forest Lake, MN is one of Minnesota’s leaders in the Coin Laundry Association of America. Exceptional quality and service is what differentiates us from our competitors. Now with 7 locations to serve you. 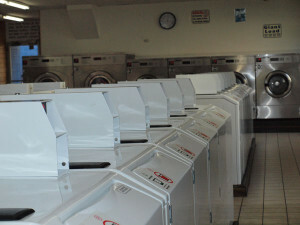 At our laundry in Forest Lake, MN we have plenty of parking, lots of high capacity washers and dryers and more than enough laundry carts, seating units and folding tables. The store is well lit, air conditioned, has free Wi-Fi Internet service and we also accept credit cards.